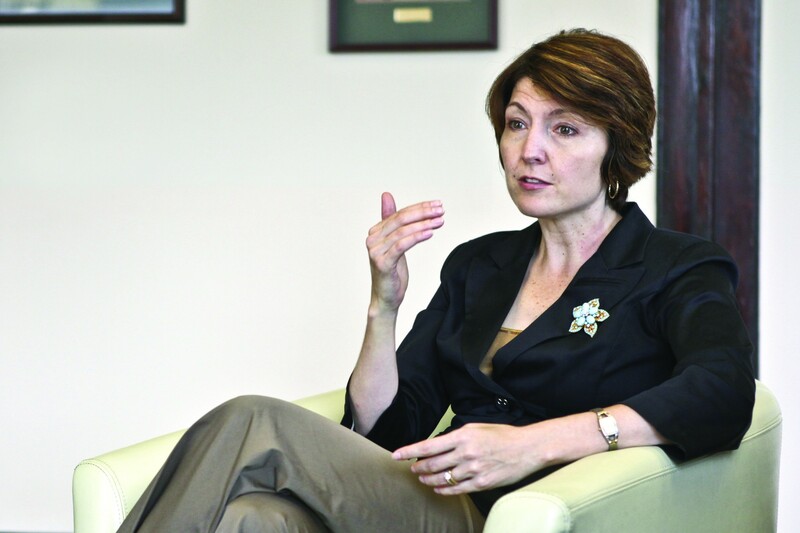 Cathy McMorris Rodgers for vice president? Might whoever the Republicans nominate for president look to Eastern Washington for their vice-presidential nominee? That's the question posed in an article published this morning by The Daily Caller, an online political news source based in Washington, D.C.
Eastern Washington Rep. Cathy McMorris Rodgers, who has been in Congress since 2005 and is the fifth-highest-ranking Republican in the House of Representatives, has "conservative credentials, a compelling life story," according to Kellyanne Conway, a Republican strategist quoted in the story. A few considerations: McMorris Rodgers has already thrown her support behind front-runner Mitt Romney, acting as his Washington state campaign chairwoman. And McMorris Rodgers has her own seat in the House to defend in 2012. And that brings up another question: Vice presidential nomination or not, who's going to run for her House seat in November?